Aren't these cards just me, I mean I love everything about the rustic nature of them. The card below was created by PlBuikema and it actually made me squeal. 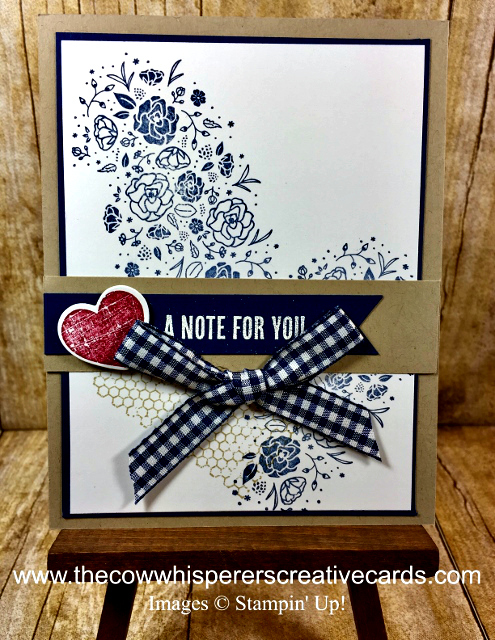 Even though there are florals in the Wood Words Stamp Set, I feel the set as a whole is very rustic. 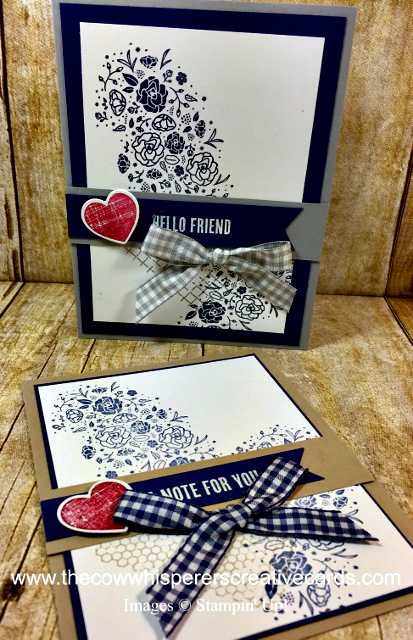 I absolutely love how the Night of Navy Gingham Ribbon compliments and finishes of this card. 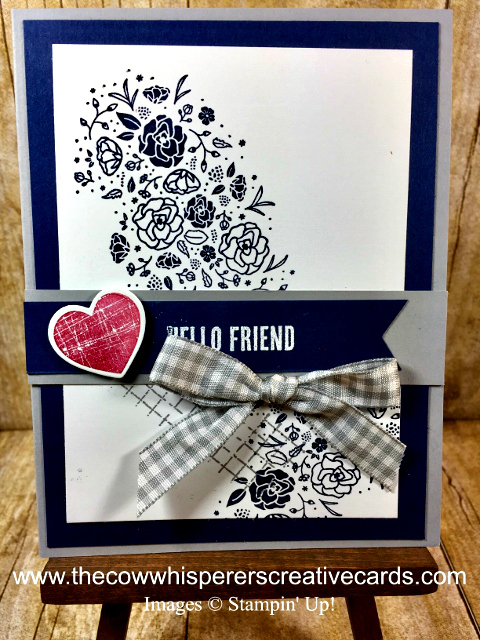 I'm happy to report the Night of Navy Gingham Ribbon will still be available in the new catalog, however, the Smoky Slate Gingham Ribbon is retiring :( Check out the quick video below to see how I created the Smoky Slate version of this card and put my own twist on it. Crumb Cake above or Smoky Slate below, both are adorable and perfect for any occasion. Are you wondering where the distressed heart came from? 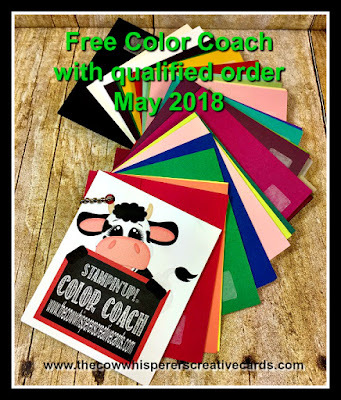 Well its also part of the Wood Words Stamp Set along with a distressed Star, Moon and my favorite the Rooster. Measurements: Card Base - Smoky Slate - 8 1/2" x 5 1/2" scored at 4 1/4" First Layer - Night of Navy - 5 1/4" x 4" Second Layer - Whisper White - 5" x 3 3/4" Strip - Smoky Slate - 1" x 4 1/4" Strip - Night of Navy - 3/4" x 4"
Cute card. Love the color combo.